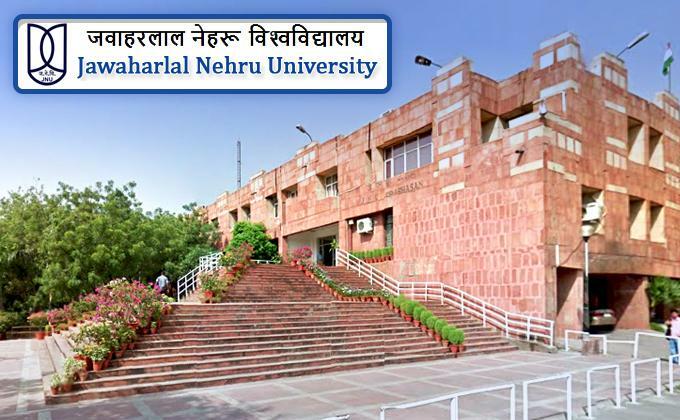 The application form for the JNU MBA Admission 2019 is now accessible online at the official website of the University, at jnu.ac.in. The last date to apply for admission into the first batch of Atal Bihari Vajpayee School of Management and Entrepreneurship (ABVSME), JNU’s MBA program has been set as March 1, 2019. The school will admit candidates based on their marks in the Common Admission Test (CAT), the same score which is used for admission to the reputed IIMs and many other prestigious management schools in India. The candidates interested in applying for the MBA program should provide their CAT registration number while filling up the admission form. The candidates who apply for ABVSME, JNU’s MBA program will be shortlisted initially based on their CAT scores and will then be called for an interview. The institute has a total number of 50 seats available in the first batch. 70% and 30% weightage will be given respectively to the CAT score and the performance in the personal interview. The online applications will be accepted till March 1, 2019 and the interview or viva will be held on April 15, 16 and 18. Click on ‘Apply Online’ under the ‘Links’ section on the right hand side of the page. Alternatively, you can directly visit that page by clicking here. You’ll need to register with the website by providing your name, a valid email address, phone number and a password. After creating your login, you’ll need to use the same credentials to log into the website, and then fill up the application form. A Bachelor’s degree or equivalent from a recognized University incorporated by State or Centre, or any other educational Institute that has been deemed as a university (under section 3 of the UGC Act, 1956) or set up by an act of Parliament. You could even qualify by holding an equivalent qualification recognized by the Ministry of Human Resource Development (HRD), Government of India. However, please note the Bachelor’s degree or the equivalent qualification should be of minimum 3 years’ duration after completing 10+2. The students applying under the general category should have scored a minimum of 60% marks in aggregate during the graduation or should have obtained an equivalent CGPA in the concerned degree program. The students applying under the OBC quota get a relaxation of 5% and hence should have scored a minimum of 55% marks in aggregate during the graduation or should have obtained an equivalent CGPA in the concerned degree program. The students applying under the PWD/SC/ST quota get a further relaxation of 10% marks and hence should have scored a minimum of 45% marks in aggregate during the graduation or should have obtained an equivalent CGPA in the concerned degree program. Students appearing in their Bachelor Degree’s or equivalent’s final year examination or the ones who have given the final year exam but are waiting for the results, are also eligible to apply. However, all such candidates will need to submit a pertinent certificate by a specific date intimated by the University, to be able to provisionally join the program.